When you check in at the hotel after a long day of work and meetings, you can enjoy a nice glas of wine, a beer or mineral water and some snacks in the room. A well-chilled bottle of champagne or sparkling wine - what can make your visit more luxurious? We prepare your room with fresh roses upon arrival. Could something be more romantic and welcoming? Delicious chocolate and seasonal fruit. We guarantee that you will find it both tasty and beautiful! Love is in the air. 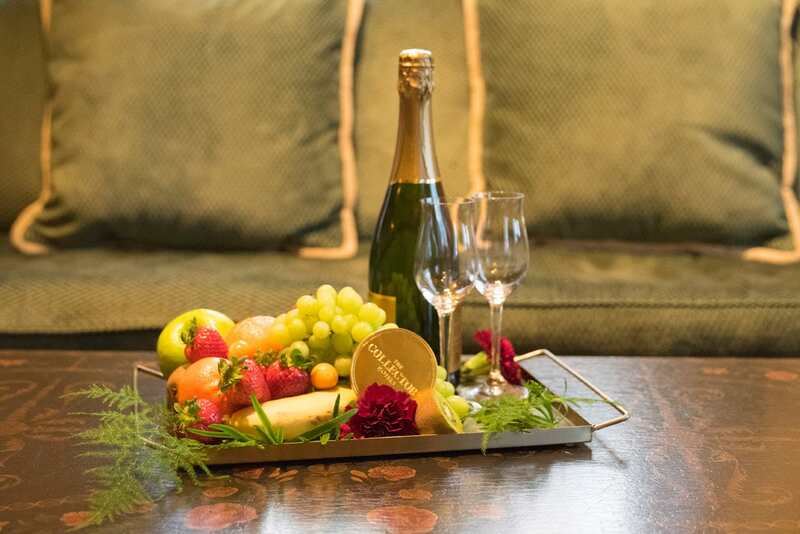 We will prepare your room with a bottle of sparkling wine, a box of chocolate and rose pedals on the bed. Reserve a table at one of our popular restaurants or bars in the Old Town.